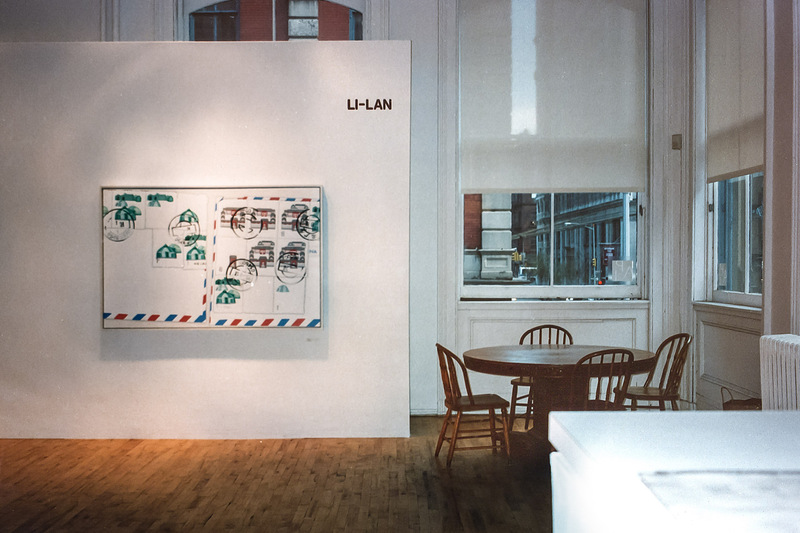 Installation view of Li-Lan: Post Marks, Recent Paintings and Pastels at Art Projects International, New York, 1994. 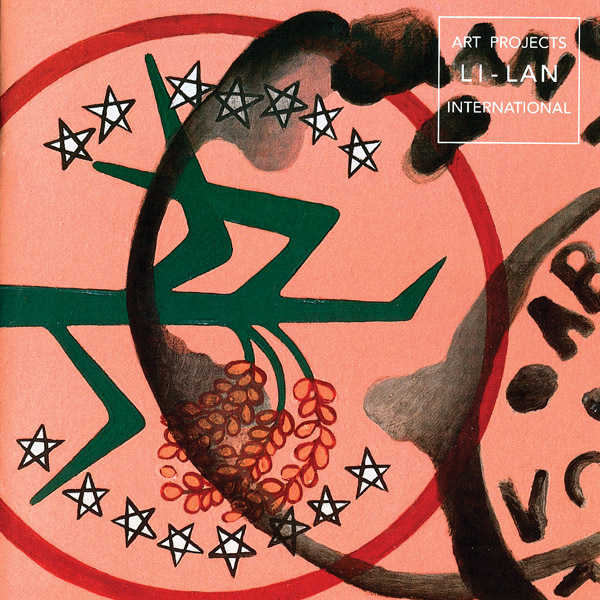 Exhibition catalogue published in conjunction with the exhibition Li-lan: Post Marks: Recent Paintings and Pastels at Art Projects International, New York, 1994. Bakke, Erik. “Li-lan, Post Marks, Recent Paintings and Pastels.” SPACE, Report from America, reproductions, vol. 325, Seoul, Korea, November 1994. Magnan, Kathleen Finley. “Li-lan at Art Projects International.” Asian Art News, Exhibition Reviews: The United States, reproduction, vol. 5, no. 1, Hong Kong, January/February 1995. Matsumoto, Yasuki. “New York Artist Li-lan: Solo Exhibition on Postal Matters.” Wave, Kyodo News Service, reproduction in newspapers throughout Japan, January 13, 1995. Ebony, David. “Li-lan at Art Projects International.” Art in America, review, reproduction, New York, February 1995.